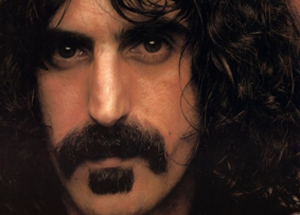 Zappa's catalog has been added to Spotify recently, though most albums are currently unstreamable (Waka/Jawaka is available on Spotify UK), various sources (including Digital Music News) suggest that a change is indeed gonna come. Personally I think it will be the greatest addition to the streaming catalog in a long time. For other missing links like Beatles, Led Zeppelin and Metallica, their music is familiar to grillions, and their influence is all over the place. But to average music fans, Zappa's catalog is still largely unknown or misunderstood, and the path he paved is not for anyone to follow. In fact, he went to so many places in the music map as if only to prove that "The Road Is Blocked". His output is so vast and kaleidoscopic that it's almost impossible for even a curious fan to explore, without the help of a subscription service (the man himself proposed this idea in 1983). That's why I am so excited about this news and want to share with you immediately. I put all Zappa albums into one playlist, sorted by release date. From Freak Out!, debut of the Mothers of Invention, to the posthumous release Mystery Disc. You can subscribe to it now and (hopefully) the tracks will be available as soon as the last license issues are sorted out. If you are a premium user, you can set the playlist, or some tracks, as available offline, so you will know when the playlist/tracks become available (to download) without checking everyday. Get this collection in one Spotify playlist: Frank Zappa: Chronological Discography (available soon) (917 tracks, 56 albums). Ctrl (CMD) + G to browse in album view. To see the full list you need to uncheck "Hide unplayable tracks" in Spotify preferences first. I discovered Zappa through Wong Kar-wai's 1997 film Happy Together (the scene accompanied by Chunga's Revenge is one of the highlights), and adored the few albums I bought afterwards. Thanks to the Zappa Family Trust, and content team at Spotify, now I look forward to discover more from this monumental catalog on the best streaming service in the world. P.S. For interpretations of Zappa's works by modern ensembles and orchestras, check out my previous playlist: Zappa as Composer. For 18th century Italian composer Francesco Zappa (apparently not related to Frank, though the latter claimed so), here's a new release of his six symphonies. Update: All albums are now available on Spotify UK and some other European countries. Now can we PLEASE get Pink Floyd to change their mind about Spotify? The whole Pink Floyd discography is streamable via DEEZER. There are a lot more than 56 albums - trust me! Finally! Frank Zappa is now on Spotify, it's been a long wait but worth every € 9.99 a month. I really <3 Spotify!